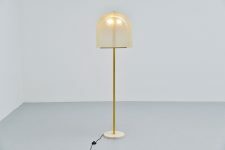 Large impressive floor lamp designed by Salvatore Gregorietti and manufactured by Lamperti, Italy 1960. 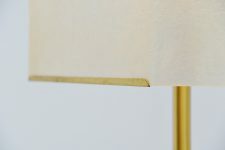 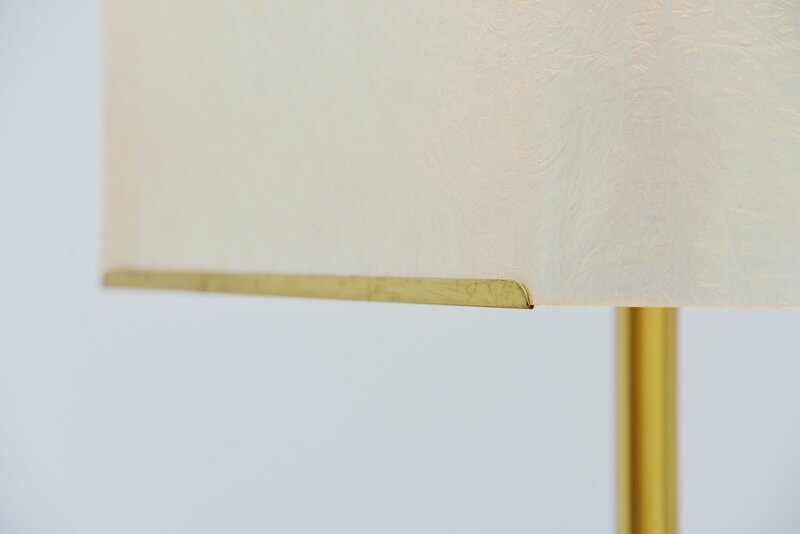 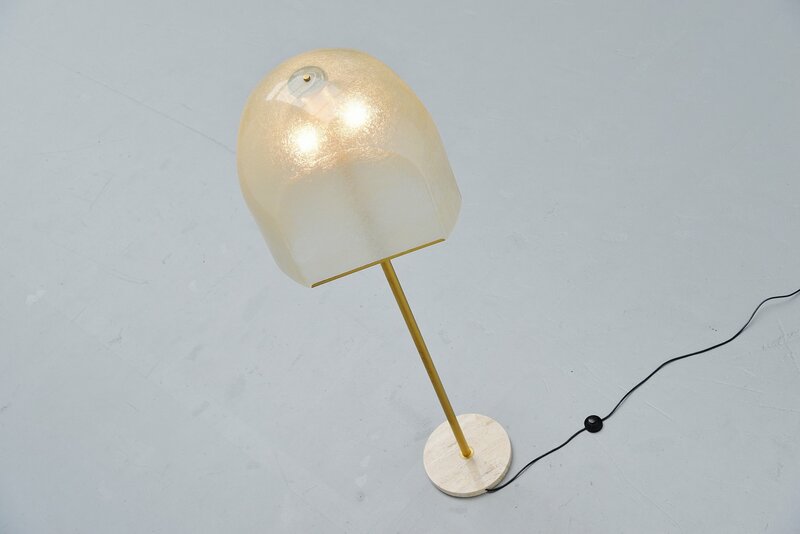 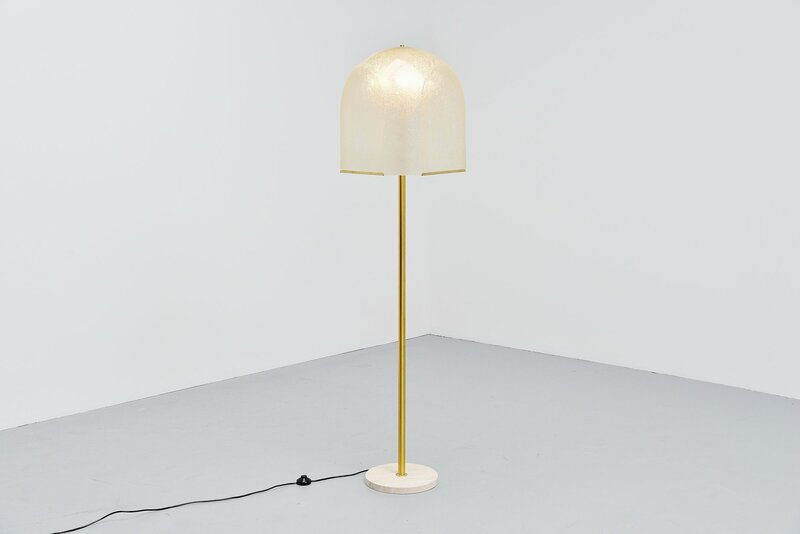 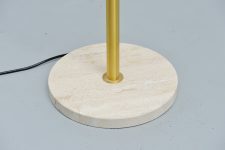 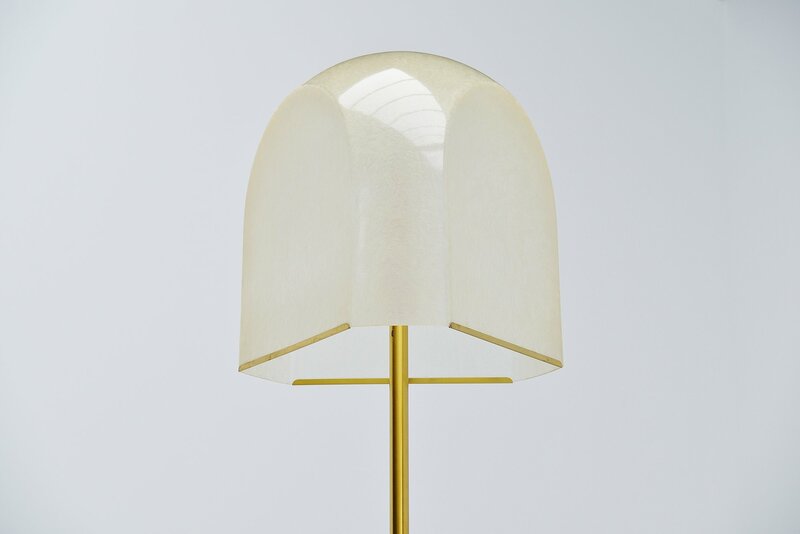 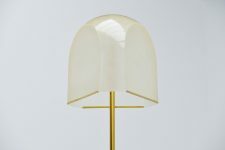 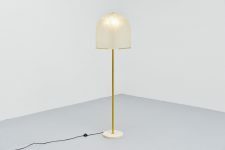 This lamp has a nice fiberglass shade and a brass stem with a weighted travertine base. 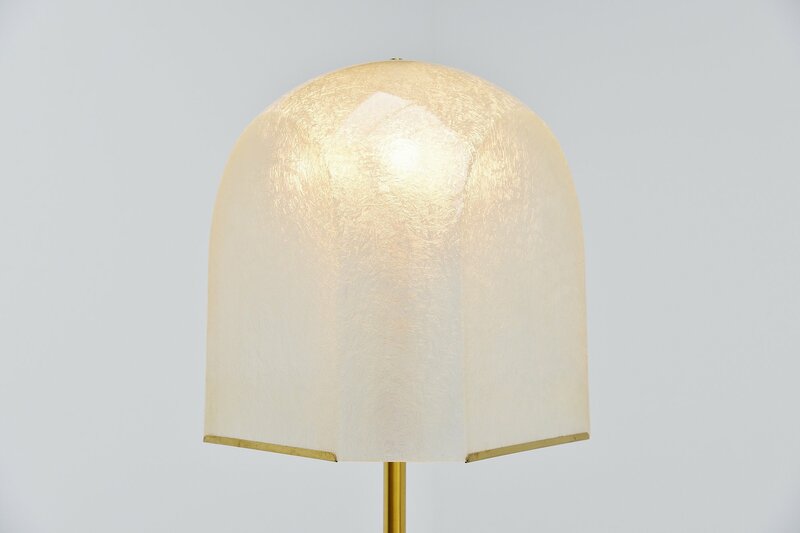 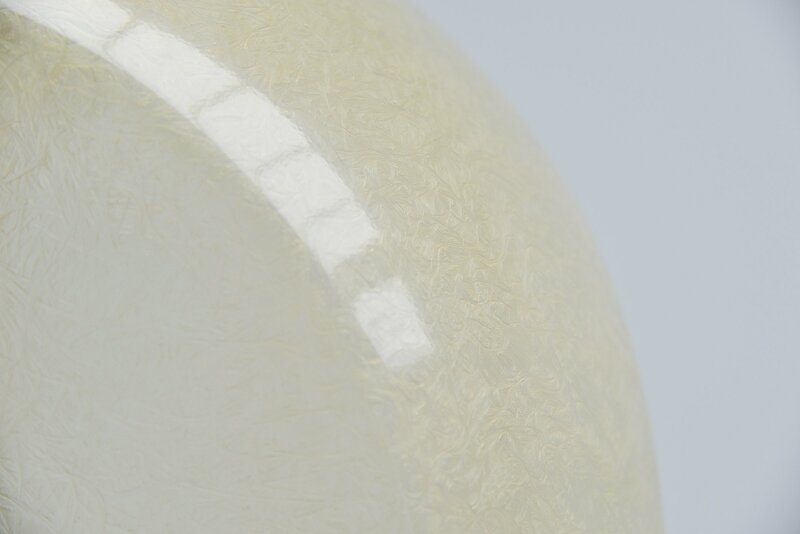 The lamp gives very nice and warm light when lit and uses 3x E27 bulbs up to 75 watt each. 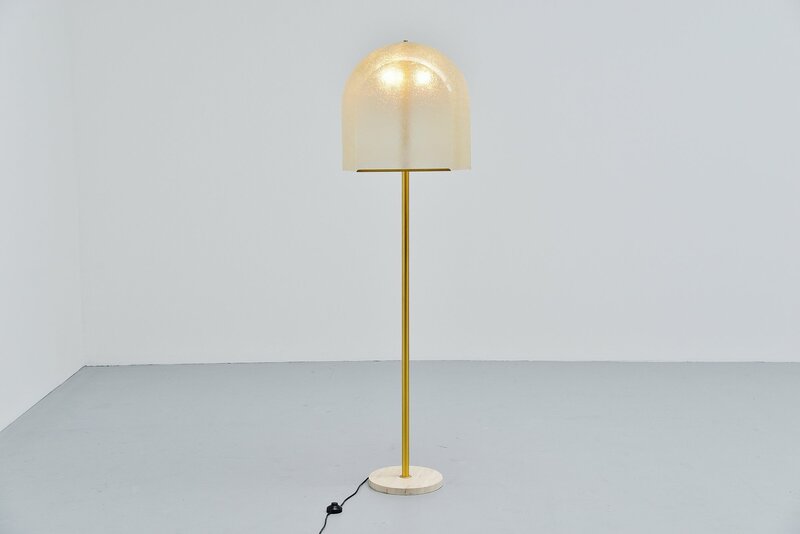 The lamp is in excellent original condition.